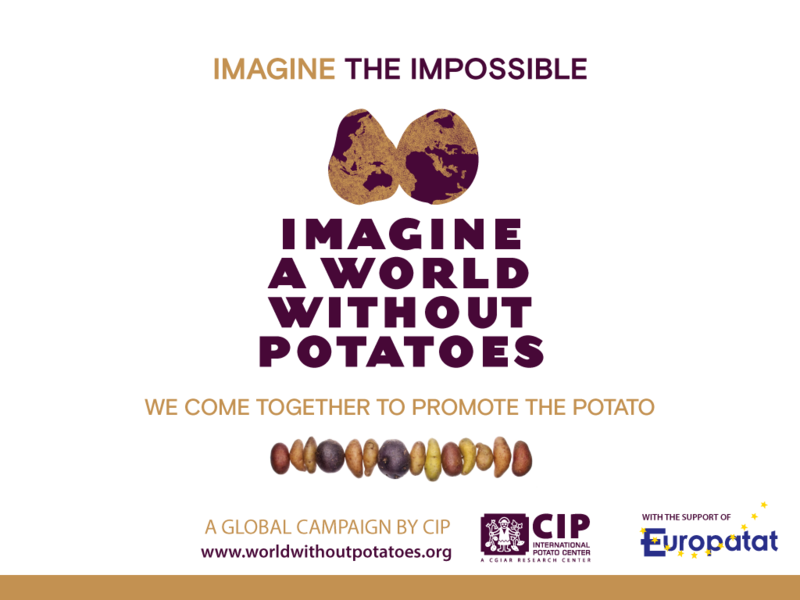 Europatat is supporting the global campaign Imagine a World Without Potatoes, which is led by the International Potato Center (CIP)* and will be launched at EU level on 27 November on the occasion of Interpom Primeurs, the largest indoor potato event in Europe. The idea is simple: the campaign will ask consumers to imagine a world without potatoes to strengthen the emotional bond between them and the potato. The potato sector will come together as one with a unique, global message to multiply the impact of the campaign. “It’s a very different type of campaign; we are looking to raise awareness of how the incredible biodiversity of potato can offer solutions to global challenges, such as climate change, food security and sustainable development. But to safeguard the future of the potato, we need to support efforts to maximise its potential, encouraging the scientific research which will boost productivity and consumption”, said Barbara Wells, CIP Director General. 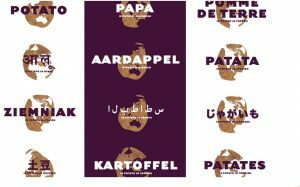 The campaign will be run from late 2018 to 2020 and will include not only a worldwide digital strategy but also national potato campaigns, world expos, product packaging with a new compelling message, or viral videos and potato challenges. The Imagine a World Without Potatoes campaign will reach consumers in every platform in every territory, also including its messages in educational curriculums. Since its oﬃcial announcement during the World Potato Congress held in Cuzco (Peru), partners from every continent have joined. From private companies to grower’s associations, partners from countries such as Australia, Belgium, the Netherlands, Ireland, Ecuador, Peru, China, India and the U.K. have decided to use the message of the campaign, adapting it to their own marketing eﬀorts to ensure that with one voice, we capture the attention of consumers everywhere. More recently, the campaign message has taken centerstage during the National Potato Day in Ireland, and in the coming months it will also be a protagonist in key events such as Interpom Primeurs in Belgium and the China Potato Expo 2019. As more partners join, the campaign only grows stronger. Please get in touch with us or with the CIP to discover more and to discuss how the campaign can work for you. Join us if you can’t imagine a world without potatoes neither! *The International Potato Center (CIP) is a research-for-development organization with a focus on potato, sweet potato and Andean roots and tubers. CIP delivers innovative science-based solutions to enhance access to affordable nutritious food, foster inclusive sustainable business and employment growth, and drive the climate resilience of root and tuber agri-food systems.